Security experts has determined that Search.froktiser.com is a browser hijacker. A large count of computers around the World have been hit by the Search.froktiser.com hijacker. The guide below will teach you all you need to know about the browser hijacker. How it got into your MAC system, how to delete Search.froktiser.com, and how to protect your MAC system from any unwanted software like the hijacker infection in the future. 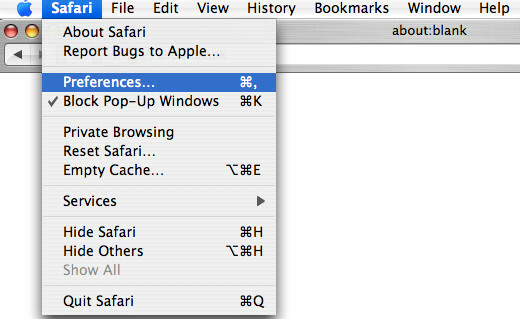 Listen to advice, the faster you will delete Search.froktiser.com – the safer will your MAC be. When you perform a search via Search.froktiser.com, in addition to search results from Yahoo, Bing or Google Custom Search that provide links to web pages, news articles, images or videos you will also be shown tons of undesired ads. The developers of Search.froktiser.com doing this to make advertising revenue from these ads. Often, the machine which has been affected with Search.froktiser.com hijacker, will be also affected by ‘ad-supported’ software (also known as adware) that shows lots of various ads. It can be pop-ups, text links in the web pages, banners where they never had. What is more, the ad supported software can replace the legitimate ads with malicious ads that will offer to download and install malware and undesired apps or visit the various dangerous and misleading sites. We recommend you to clean your machine of browser hijacker ASAP. Use the tutorial below which will allow to delete Search.froktiser.com redirect and ‘ad-supported’ software, that may be installed onto your MAC OS along with it. Even if you have the up-to-date classic antivirus for Apple Mac installed, and you have checked your MAC system for malware and removed anything found, you need to do the guidance below. The Search.froktiser.com hijacker removal is not simple as installing another antivirus. Classic antivirus software are not made to run together and will conflict with each other, or possibly crash Mac OS. Instead we recommend complete the manual steps below after that run MalwareBytes Free, which is a free program dedicated to search for and delete malicious software like Search.froktiser.com browser hijacker infection. Use the utility to ensure the hijacker is removed. The tutorial will help you remove Search.froktiser.com search. These Search.froktiser.com removal steps work for the Safari, Chrome and Firefox, as well as every version of MS Windows operating system. First method for manual hijacker removal is to go into the Finder, then Applications. 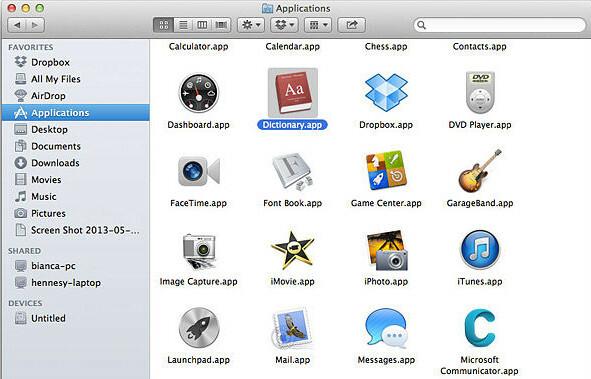 Take a look at the list of apps on your MAC OS and see if there are any dubious and unknown applications. If you see any, you need to remove them. Of course, before doing so, you can do an Net search to find details on the application. If it is a potentially unwanted program, ad-supported software or malicious software, you will likely find information that says so. Make sure you have closed all web-browsers and other apps. Next, remove any unknown and suspicious software from MAC OS using the Finder. Look around the entire list of programs installed on your MAC. Most probably, one of them is the browser hijacker that responsible for internet browser redirect to the unwanted Search.froktiser.com page. Choose the suspicious program or the program that name is not familiar to you and uninstall it. If you find that Safari browser settings such as newtab page, search provider by default and start page having been hijacked, then you may revert back your settings, via the reset browser procedure. Reset Chrome settings is a easy way to remove the browser hijacker, harmful and adware extensions, as well as to recover the internet browser’s default search provider, newtab and start page that have been modified by browser hijacker. Once this procedure is finished, your web browser’s new tab, search provider and home page will be restored to their original defaults. First, open the FF and click button. It will show the drop-down menu on the right-part of the web browser. Further, click the Help button ( ) as shown on the screen below. It will display the confirmation dialog box. Further, click the “Refresh Firefox” button. 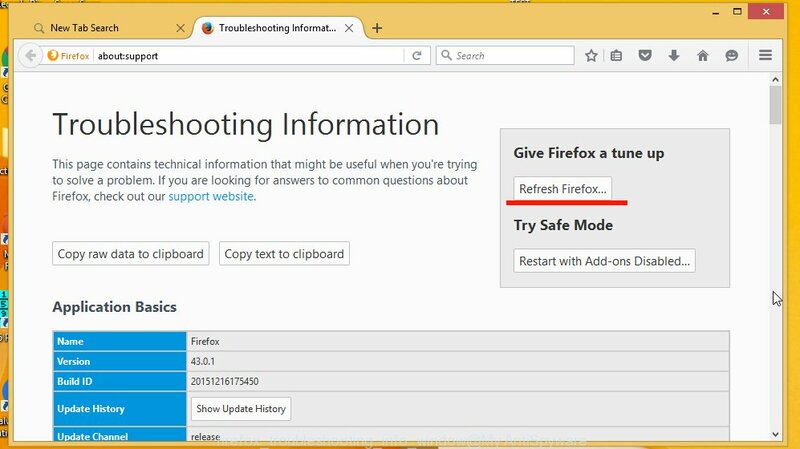 The Firefox will start a task to fix your problems that caused by the hijacker that causes web browsers to display undesired Search.froktiser.com web-page. Once, it’s finished, press the “Finish” button. The easiest way to remove Search.froktiser.com browser hijacker is to run an anti-malware program capable of detecting browser hijacker infections including Search.froktiser.com. We suggest try MalwareBytes AntiMalware or another free malware remover that listed below. It has excellent detection rate when it comes to ‘ad supported’ software, browser hijackers and other potentially unwanted apps. We advise using the MalwareBytes Anti-Malware (MBAM) which are completely clean your MAC of the browser hijacker. The free utility is an advanced malware removal program developed by (c) Malwarebytes lab. This program uses the world’s most popular antimalware technology. It is able to help you get rid of hijacker infections, PUPs, malware, ad supported software, toolbars, ransomware and other security threats from your computer for free. Download MalwareBytes AntiMalware on your computer from the link below. After downloading is finished, please close all apps and open windows on your MAC OS. Run the downloaded file. Follow the prompts. The MalwareBytes Anti Malware will launch and show the main window. Further, press the “Scan” button to perform a system scan with this tool for the browser hijacker infection that causes browsers to open undesired Search.froktiser.com web page. This procedure can take quite a while, so please be patient. When a malicious software, adware or potentially unwanted applications are detected, the number of the security threats will change accordingly. Wait until the the scanning is finished. 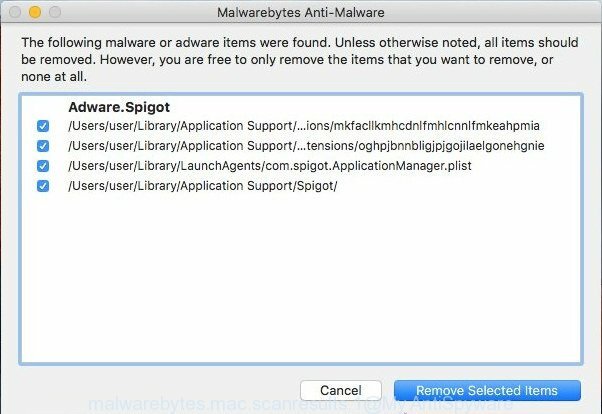 When MalwareBytes AntiMalware (MBAM) has finished scanning your Apple Mac, MalwareBytes Free will display a screen which contains a list of malware that has been detected. Review the results once the utility has done the system scan. If you think an entry should not be quarantined, then uncheck it. Otherwise, simply press the “Remove Selected Items” button. By installing an ad-blocking program such as AdGuard, you’re able to block Search.froktiser.com, autoplaying video ads and remove lots of distracting and annoying ads on sites. Visit the page linked below to download AdGuard. After downloading is finished, run the downloaded file. You will see the “Setup Wizard” screen. Follow the prompts. Each time, when you start your Apple Mac, AdGuard will start automatically and stop advertisements, Search.froktiser.com redirect, as well as other harmful or misleading web-sites. 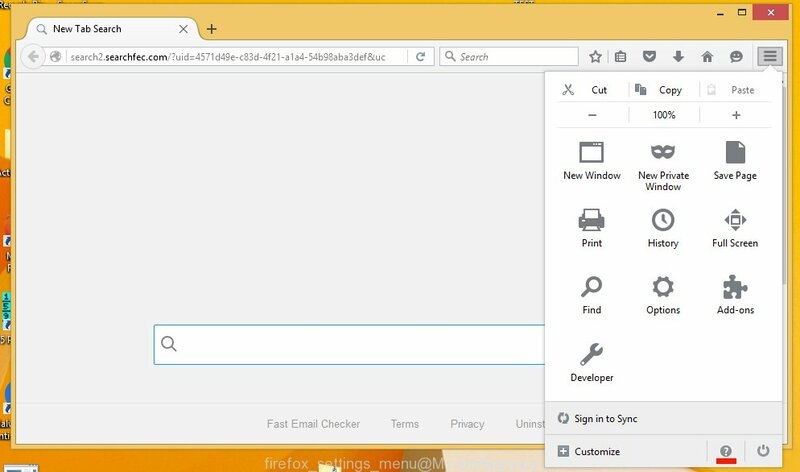 Many browser hijackers such as Search.froktiser.com come from web-browser toolbars, web browser extensions, BHOs (browser helper objects) and third-party programs. Most often, these items claim itself as applications that improve your experience on the World Wide Web by providing a fast and interactive homepage or a search engine that does not track you. Remember, how to avoid the unwanted apps. Be cautious, launch only reputable applications which download from reputable sources. NEVER install an unknown and suspicious program. Now your Apple Mac should be clean of the hijacker infection that causes web-browsers to open undesired Search.froktiser.com web-page. We suggest that you keep AdGuard (to help you stop unwanted advertisements and annoying malicious web pages) and MalwareBytes Free (to periodically scan your MAC system for new browser hijacker infections and other malicious software). If you are still having problems while trying to remove Search.froktiser.com redirect from the Firefox, Chrome and Safari, then ask for help in our Spyware/Malware removal forum.